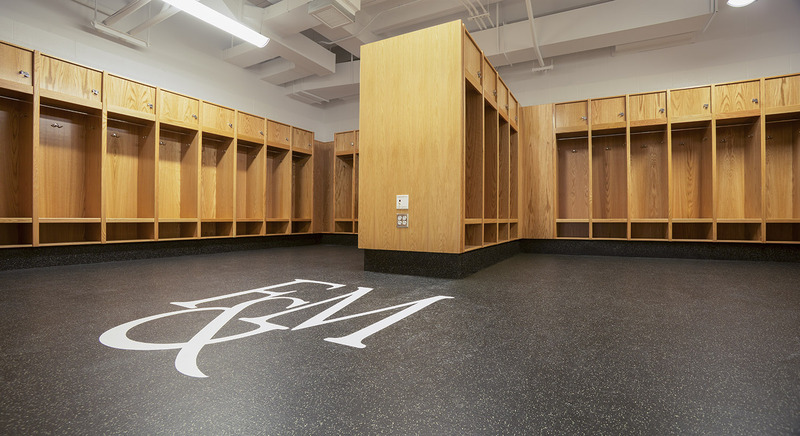 Irwin & Leighton was chosen by Franklin & Marshall College as the Construction Manager for the renovation of the Mayser Physical Education Center. 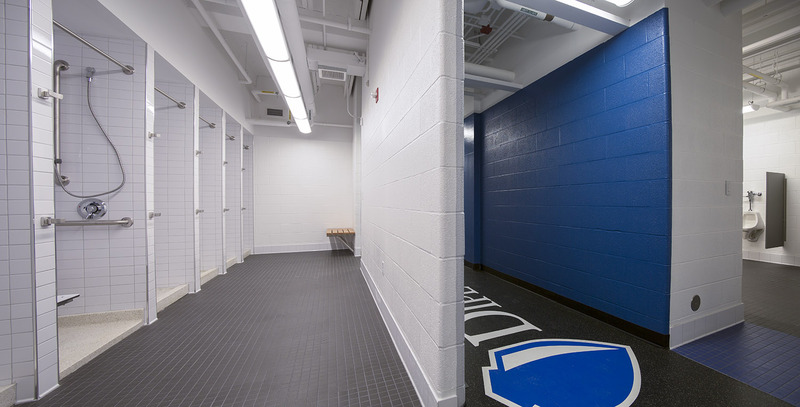 The scope of work for this ±11,000 SF interior renovations project involved the demolition and complete rebuild of the womens and mens locker rooms, team rooms, training room, and visitor area. 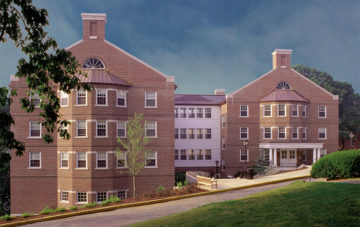 The construction phase was complete in just 15 weeks, during the summer break, to minimize disruption to the College’s operations. Expediting of long lead items, i.e. 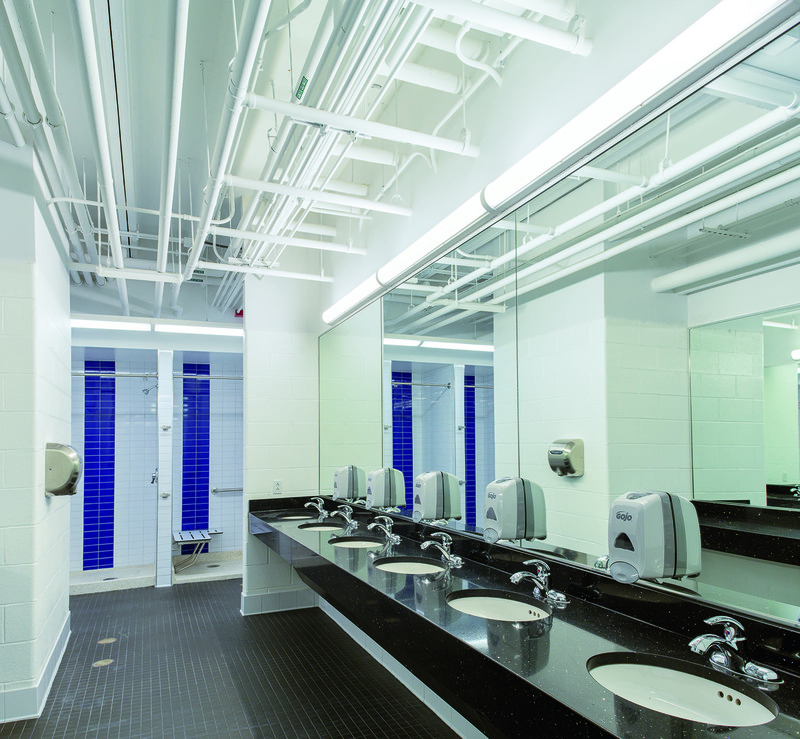 wood lockers, H.V.A.C. systems, etc.